Have You Ordered Graduation Announcements Yet? 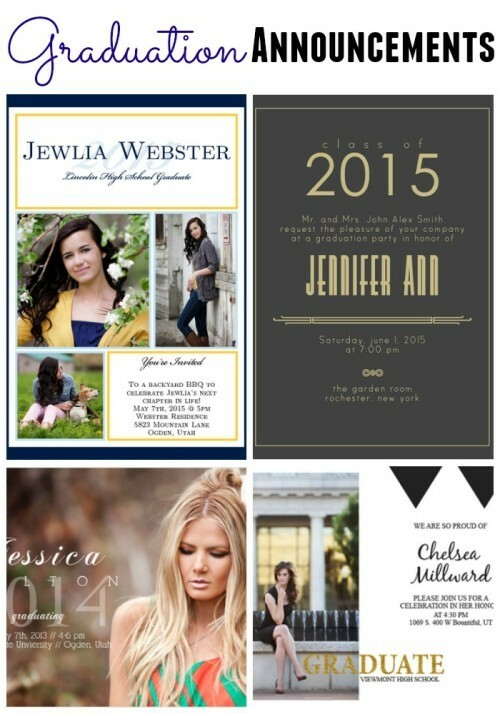 Have You Ordered Your Student’s Graduation Announcements Yet? It’s Time! *This post is presented by Basic Invite. Do you have a student graduating this year? I don’t. Yet. But that time is getting closer every day as I have one who will be a senior next year and another who will follow shortly after. Just thinking about that puts a big lump in my throat! But, when the time comes I’ll be as excited as they are to share this big achievement with friends and family by sending off graduation announcements. I love receiving graduation announcements in the mail. It’s fun to open it and see their smiling face and their big day written out for all to see. I can just picture my daughter smiling, with the words “Class of 2016” printed out. Sigh. 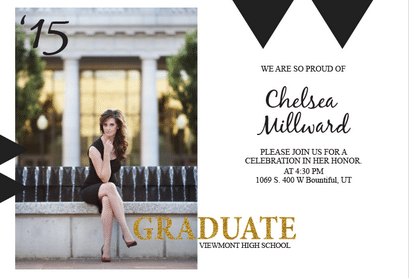 Graduation announcements are not only important to send out so family and friends know where to be when, but they’re also a keepsake. You want them to look professional, express your child’s personality and you want to use a company you can trust. I’m excited to share with you about Basic Invite, a company that will guide you in the process of creating announcements of all kinds. They are a trusted company, with an A+ rating with the BBB, plus hundreds of positive reviews from customers. Have you ever received an announcement or invitation you created in the mail and it didn’t look anything like it did online? I have. One thing I like about Basic Invite is the fact that you can order, for a small fee, a sample of what you made before you purchase the whole batch. I love this! 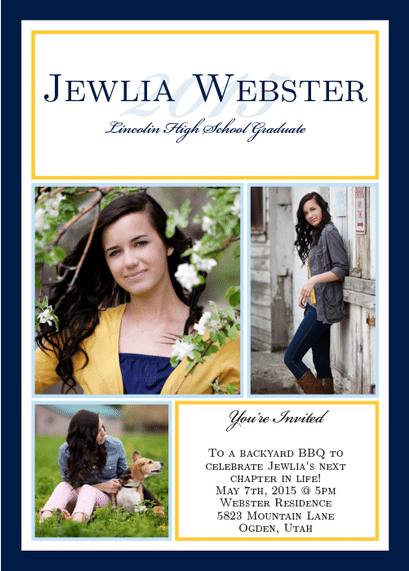 I was browsing through their graduation announcements and these are a few that caught my eye. No matter what colors you want to use, Basic Invite has you covered. They offer a wide variety of colors, in every combination you could possibly want. They back up their work with their “The Love It Guarantee”. In short, you either love it or they’ll make it right. You graduation announcements will arrive in 5 business days, with envelopes included free of charge. They offer unbeatable prices and even have a 15% off code on their website you can use today! We have 6 more weeks of school left and if you have a senior graduating, there’s an endless list of to-dos to get done. 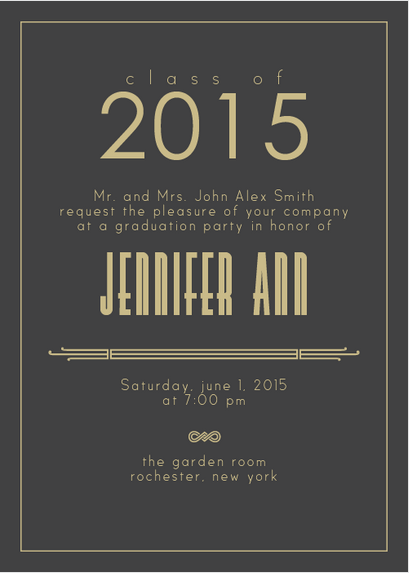 Mark one thing off your list and get those graduation announcements ordered today! Then sit back and soak in this exciting moment in their lives. 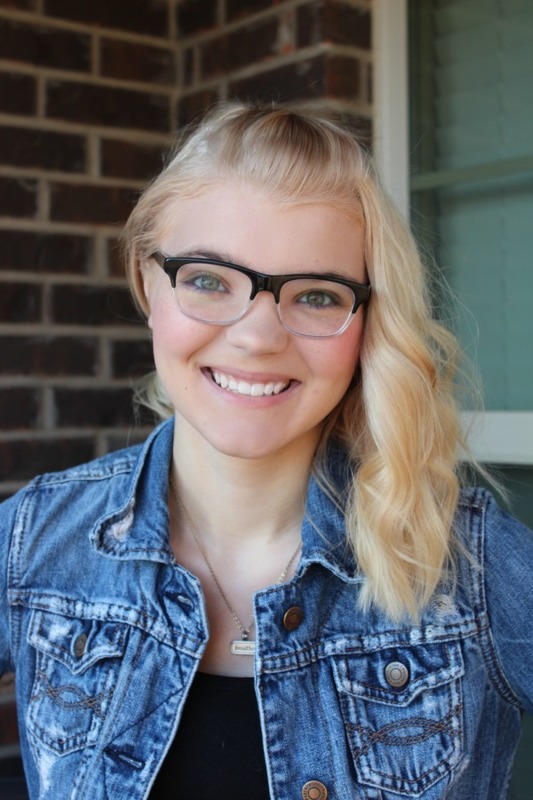 Do you have a senior graduating from high school or college? What’s important to you when it comes to ordering announcements? Colors? Patterns? A trust worthy company? Let me know!